Dr. Matthew D. Blum began working as a trial attorney at Stampone Law in the beginning of January. With a background in education, medicine, and law he is a highly versatile attorney who has already proven to be an integral member of Stampone Law’s medical malpractice litigation team. 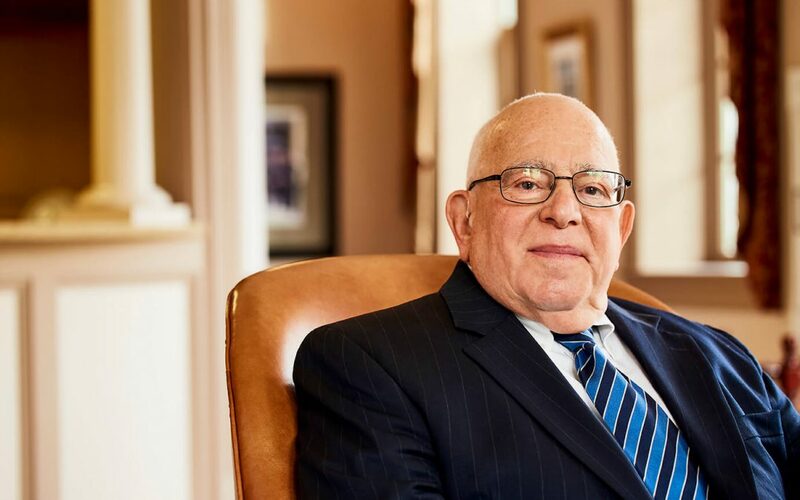 Before pursuing a legal career, Dr. Blum graduated with his Bachelors in English and became an educator within the Philadelphia Public School system. His father, a factory worker, always envisioned his son would practice medicine. After several years of teaching, Dr. Blum realized education was not his true passion and decided to fulfill his father’s wishes and pursue his medical degree from the George Washington University School of Medicine. After completing medical school, Dr. Blum began a pediatric internship at the Children’s Hospital in Washington D.C. He went on to complete his surgical residency at George Washington University Hospital. Thereafter, Dr. Blum moved to Jefferson Hospital in Philadelphia with a focus on ear, nose, and throat (ENT) surgery. He worked at Jefferson for several years before starting his own private practice in Sellersville, PA which he owned and operated for 30 years. Dr. Blum shared office space with several attorneys who he became friendly with throughout the years. He grew genuinely interested in the practice of law and decided to enroll in Temple University Law School’s evening division. Dr. Blum has now been practicing law for over 12 years. His medical background is an invaluable asset to Stampone Law as only a few Philadelphia law firms have medical doctors on staff. His combination of medical and legal expertise allows him to tackle a wide range of complex medical malpractice claims. Prior to working at Stampone Law, Dr. Blum worked as an expert on a case involving a prisoner at the Delaware County lock-up who was suffering from vision loss. Despite his ongoing complaints, the prison’s doctors determined his illness was fabricated. After remaining symptomatic for six months, a visual field test was performed confirming the prisoner’s allegations. Dr. Blum’s unique blend of medical expertise and legal knowledge helped his client secure a $750,000 settlement. Dr. Blum was impressed by Stampone Law’s reputation for taking on and winning complex cases. He is excited to be joining an aggressive group of attorneys and is eager to help improve the firm’s already flourishing medical malpractice litigation team.